Being from Texas originally, I grew up surrounded by Mexican culture and traditions. I loved it and still do. To this day, I gripe about the piñatas sold in stores because they aren’t built the same way as the ones I knew and loved. Honestly, if a 200-lb man has trouble busting it open, how is a kid supposed to do it? Besides, is it really a piñata if it’s anything other than a donkey or star, lol? 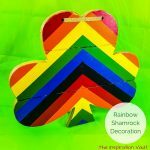 Okay, maybe, but I still love the traditional look of the original piñatas–rainbow stripes of fringed tissue paper. 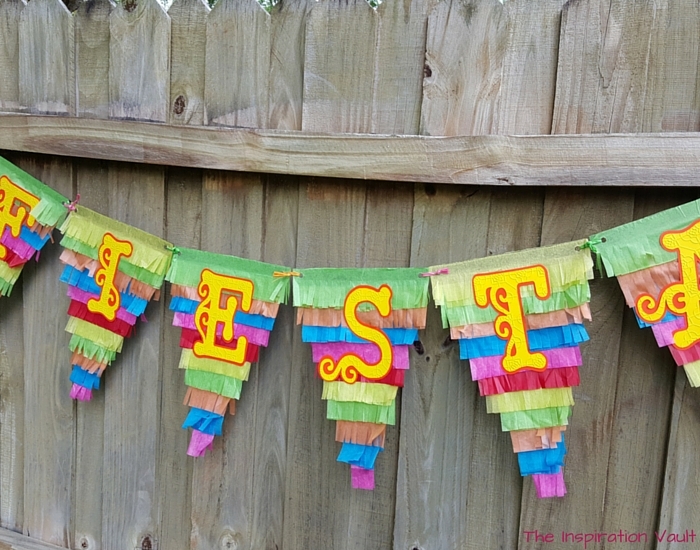 For this fun Fiesta Pinata Banner, I’m taking that look and applying it to pennants to create a decoration perfect for your fiesta or Cinco de Mayo celebration. Let’s get started! 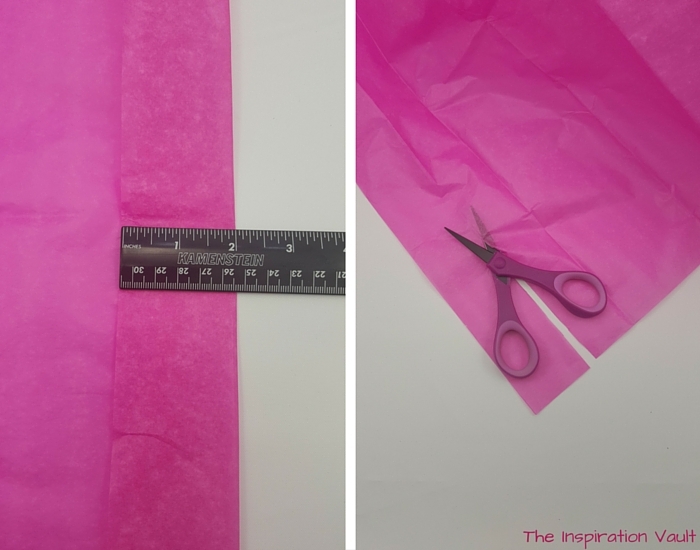 Step 1: Measure a 2-inch strip of tissue paper, fold, then cut along the fold. Repeat for every color you are using. 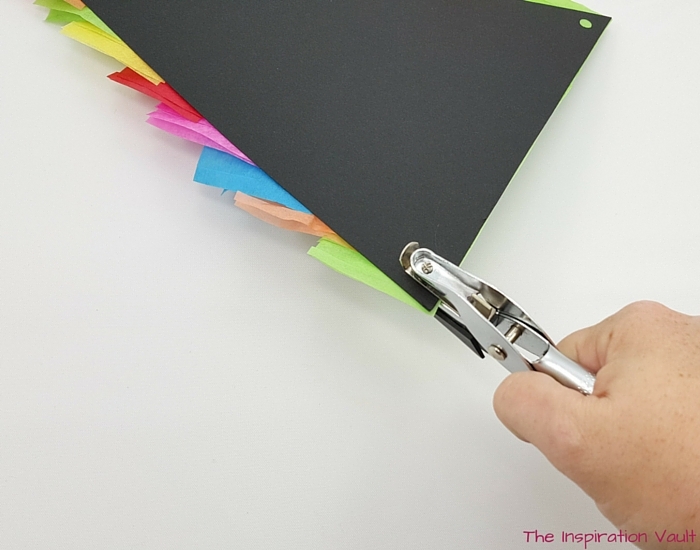 Cut additional strips as you need them. Step 2: Fold the strip in half lengthwise several times. Make small cuts, halfway up, across the folded strip. Be sure to cut the folded sides, too, so those bits aren’t wider. You will save yourself a ton of time by folding and cutting this way. Repeat for other colored strips. 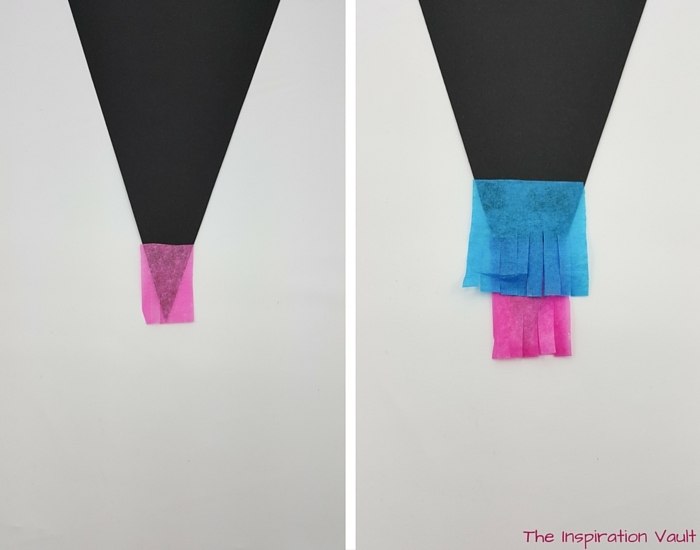 Step 3: Unfold the fringed tissue paper and starting at the bottom of a pennant, measure enough fringe to cover the width at that point. the bottom of the fringe should cover the point of the pennant. Go to the bottom of the tutorial to see how to get your own pennants if you didn’t buy them. Step 4: Now add a second layer of the same color, right on top of the first. 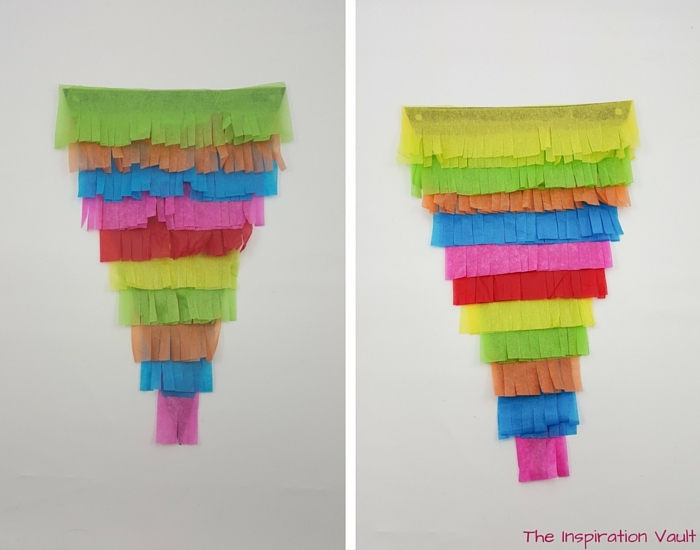 A single layer isn’t enough to make the colors pop or give it the genuine piñata look. See below. Step 5: Repeat steps 3 and 4 for each of the colors, working your way up the pennant. Place each new fringed strip so that the bottom is even with the start of the previous strip. See photo for reference. 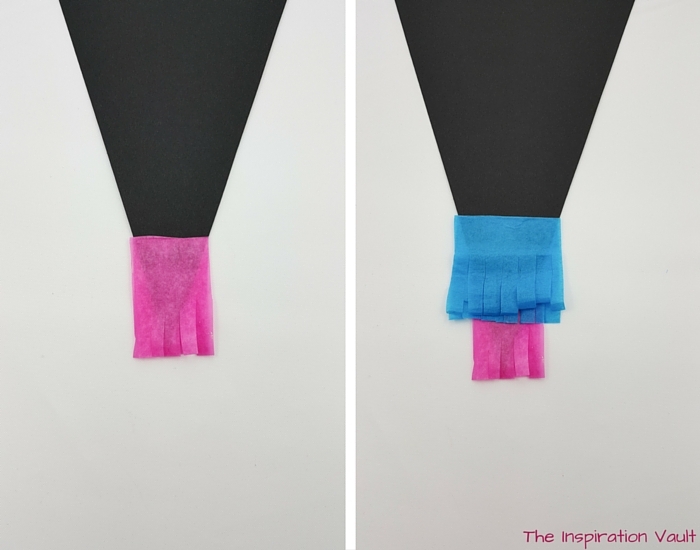 If the last row of fringe goes above the top of the pennant, trim off any excess. 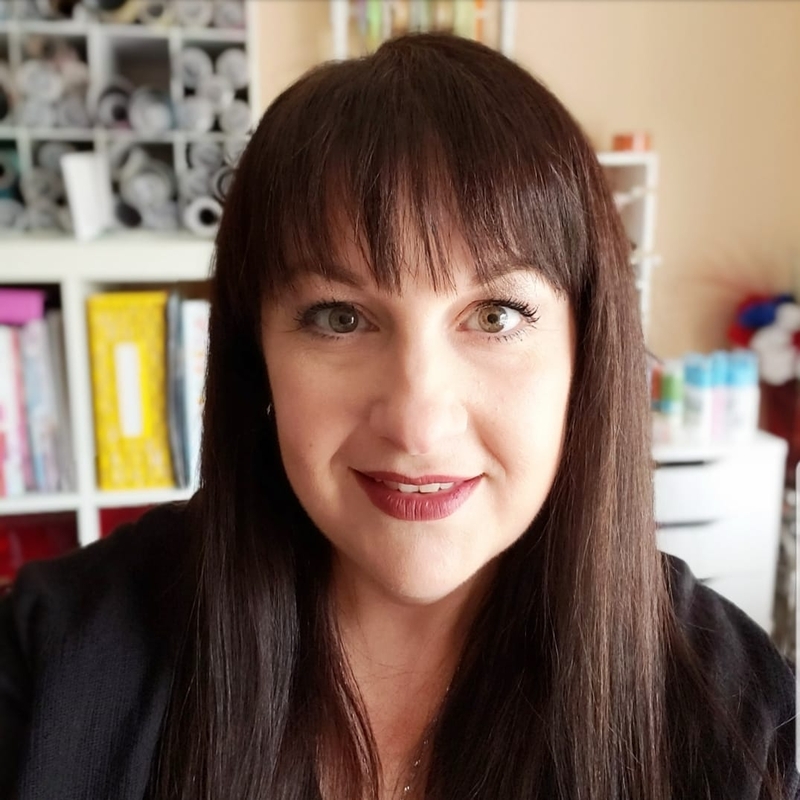 TIP: If you like, you can turn over the pennant and trim the sides so the fringe doesn’t go over the edge of the pennant. I tried that and decided I preferred to leave them alone. I think it gives the banner a more authentic look. 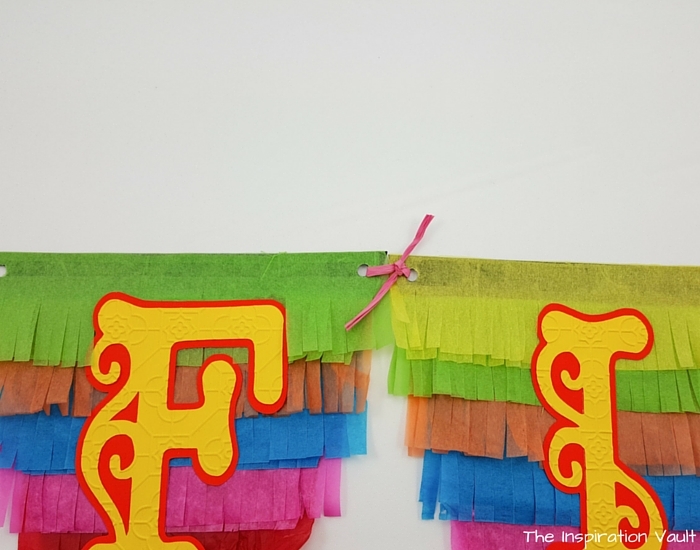 Step 6: If needed, adhere your cut out letters to their shadow backgrounds, then use double sided tape to stick your letters to each of the pennants, spelling FIESTA. 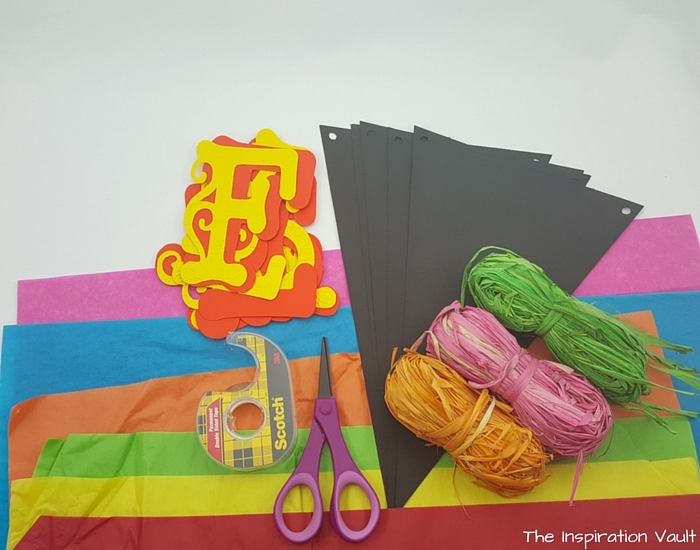 See the bottom of this tutorial for info on FREE printable letters. Step 7: Repunch the two holes on each pennant that you just covered with tissue paper. Step 8: Cut five, 12-inch lengths of raffia to join all of your pennants. 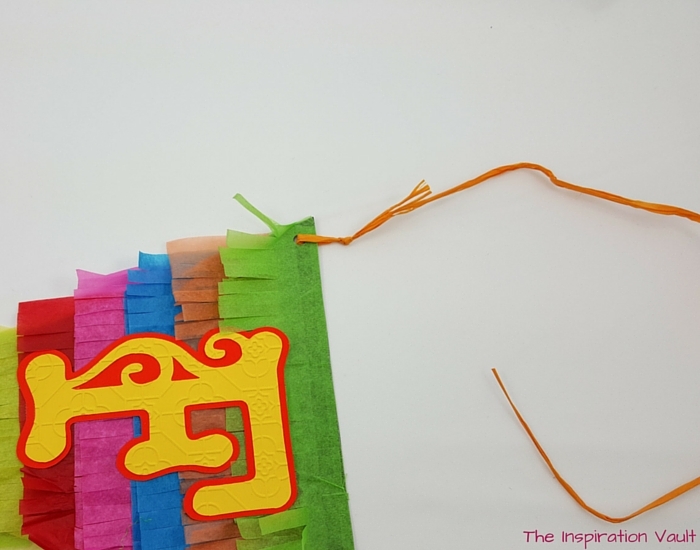 Tie the pennants together with the raffia strips, leaving enough slack so the banner can curve or bend as needed. I used a simple knot. Step 9: Cut two, 18-inch lengths of raffia. Tie one to each end of the banner. These will be used to hang the banner. That’s it! 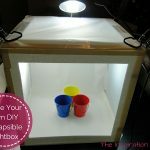 Yes, that was a lot of fringe cutting and taping, but this is a great craft to get the family in on to help. I certainly did! 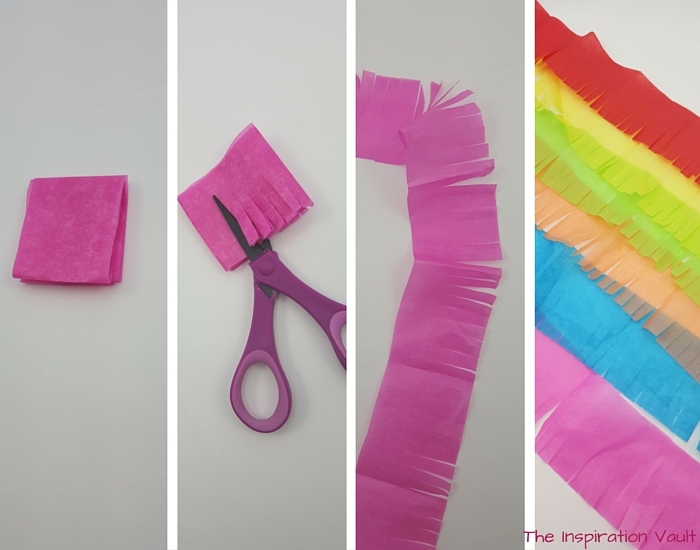 What’s also great is now you can use your new piñata fringe making ninja skills to piñatify all kinds of different decorations. 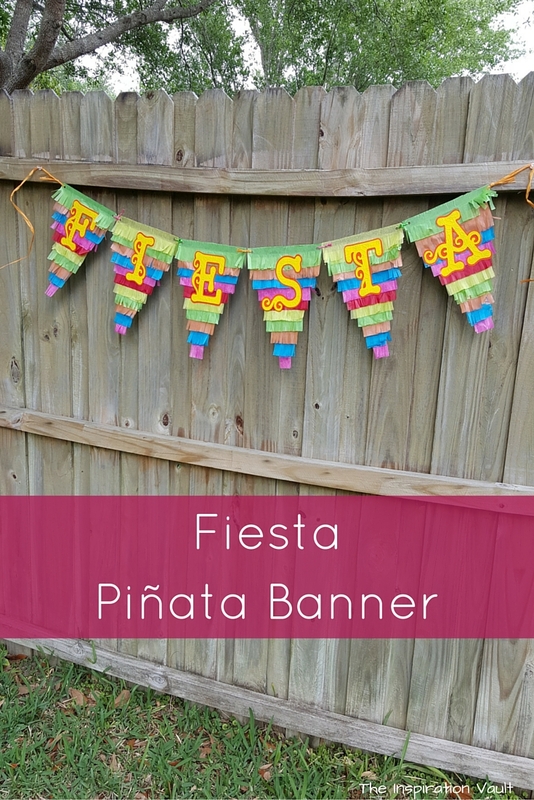 This Fiesta Pinata Banner is just the beginning for me. 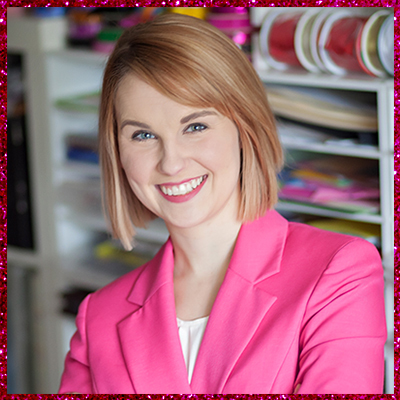 I have loads of ideas brewing for how to use that cute fringe. How about you? 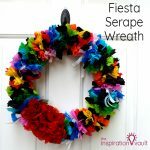 Be sure to check out our other Fiesta and Cinco de Mayo decorations and follow our Fiesta Cinco de Mayo Party Inspiration board on Pinterest for even more ideas! 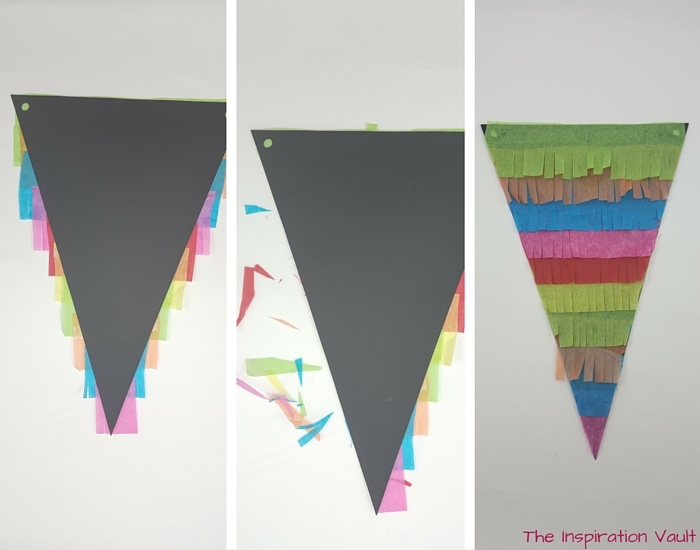 We’re also huge fans of Val Event Gal’s DIY Fiesta decorations. You have to see her Tissue Paper Fiesta Flowers and Mexican Flower Drink Stirrers. 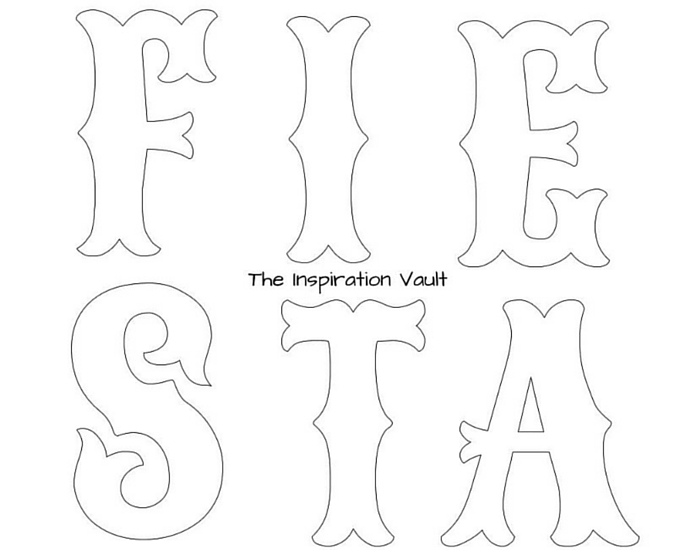 They’re the perfect finishing touches for your DIY Fiesta! 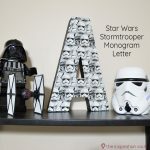 Letters: I used the Free Cricut Fonts called Cricut Alphabet Font 3 and Cricut Alphabet Font 3 Shadow at 5 inches tall by 4 inches wide, cut on my Expressions 2. 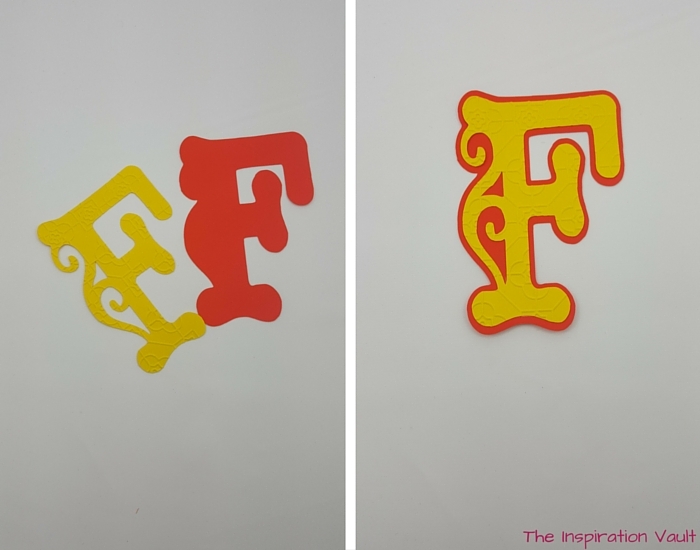 For those who don’t own a Cricut, no problem, I have Free printable letters for you to print and cut out with scissors. Nothing wrong with that in my book. You could also use precut letters found at your local craft store. 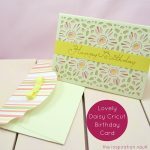 Just sign up below to get our printable letters and exclusive access to loads of other Free printables. 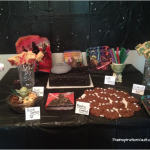 Pennants: I used the Decorate! Celebrate! Cricut Cartridge to cut the pennants at 11 inches long. But again, since not everyone has a Cricut, I have made you a Free printable so you can just print them out on cardstock and cut them out yourself. 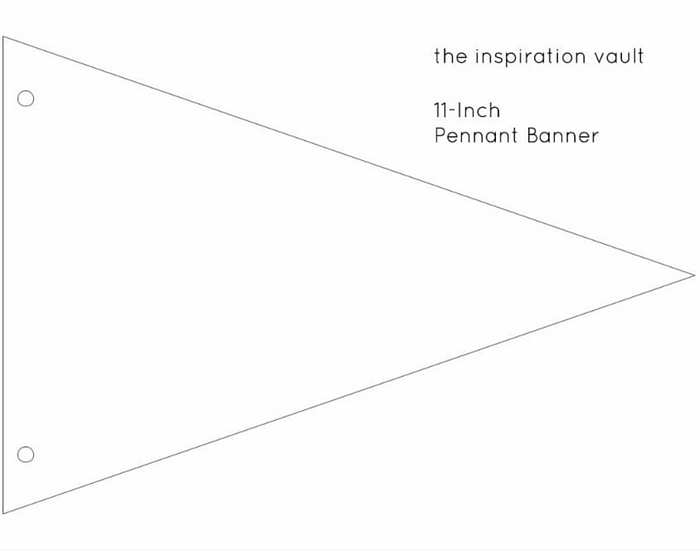 Sign up below for access to your Free printable pennant template. I agree with you about the store bought pinatas. This is a really cute pennant banner.Martha Stewart has scissors that would make quick work of all the fringe work. Thank you! I need to check out those scissors!